This spacious, neo-Provencal style holiday home is situated close to the medieval village of Mougins and just 6km from the beaches of Cannes. It has been tastefully furnished with an elegant yet cosy décor and is well-equipped for a relaxing holiday. The villa boasts an open-plan kitchen and living area, three bedrooms, two bathrooms, a beautiful terrace and lovely garden, complete with swimming pool. The property enjoys lovely views, overlooking Villa Picasso and Esterel. 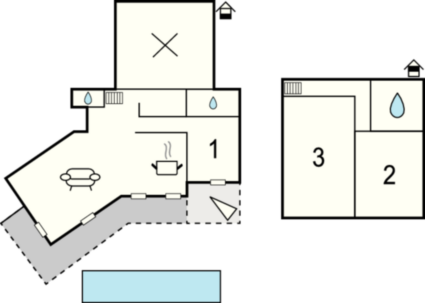 Please note, the homeowners live in an apartment with private garden at the back of the house. This solidly constructed modern villa was built in 1997. The agent has rated it as a four star property so it is a well-equipped villa with above average furnishings. It is also great value for money. 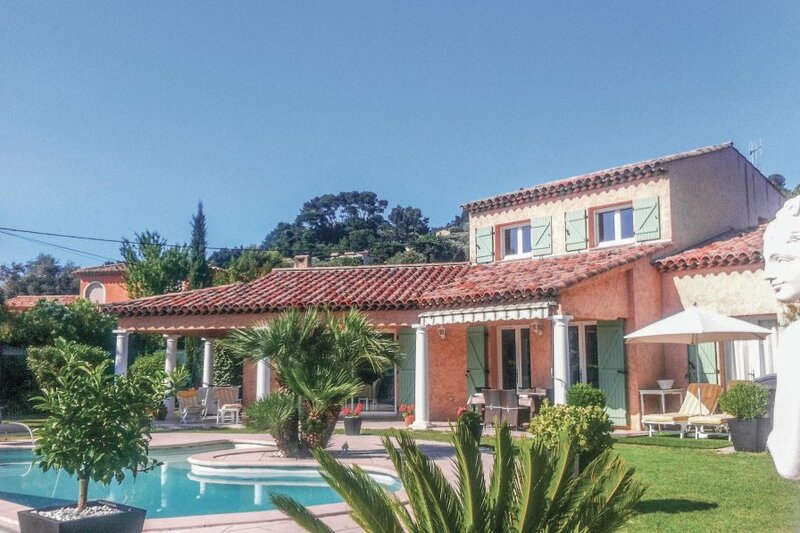 This villa has a swimming pool and is located in Valmasque-Notre Dame de Vie, only 5km from Cannes. It is set in a good location, 6.4km away from a sandy beach. There's also a restaurant only 500 metres away.